Workers in Brazil were left petrified after they encountered a dog which they assumed was terrifying, but actually just wanted some attention. I guess it’s pretty easy to get the wrong impression of a dog, especially when they’re big and act aggressively. But normally a wagging tail means they’re just keen on some love and attention. 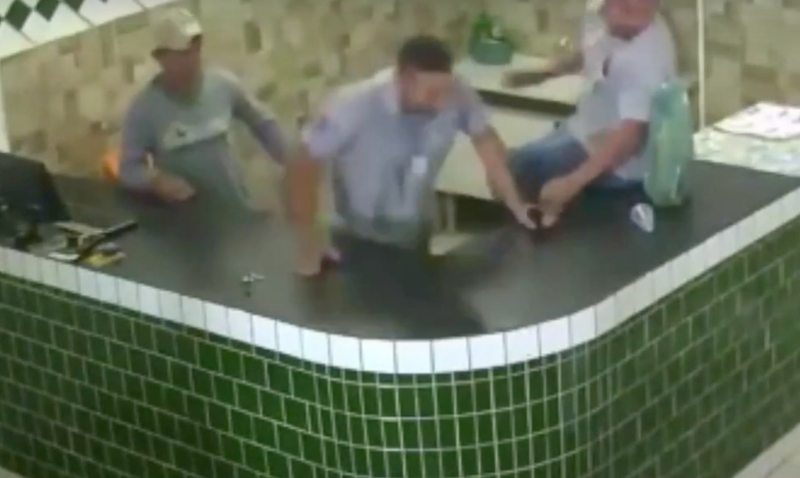 According to UNILAD, a team of restaurant workers from Brazil ran in every direction and even jumped on counters to get away from a pitbull that wandered into their building, and I guess after being branded as an aggressive breed of dog, these workers clearly thought they were going to be the dog's lunch. However, all this 'good boy' wanted to do was play. After running to hide behind doors, getting on the restaurant counter, and scrambling in every direction possible to get away from the pooch, they eventually realised the little guy just wanted to play. Also read: Can you eat an ice cream after a dog has licked it? I mean, look at its wagging tail. Watching it made me want to give the little guy a few belly rubs.